Competitive Pricing in the Industry. 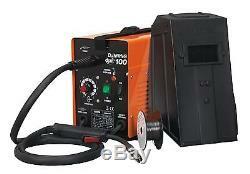 DJM 100AMP GASLESS MIG WELDER. 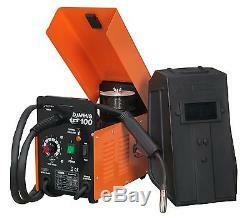 100 AMP Professional No-Gas Mig Welder. Heavy-duty high output transformer and forced-air cooling to maximize duty cycle performance. 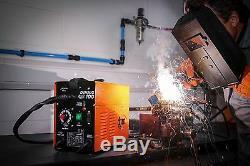 Weld up to 4.75mm thick in steel. Supplied with comfort grip, non-live torch, 2mtr earth cable, 0.2Kg flux cored wire and 0.9mm contact tip. Suitable for no gas operation only. For use with flux core wire. Only weighs 13Kg and comes with a over shoulder carry strap. Gas Type: N/A (Gasless Only). Flux Cored Wire 0.9kg x. Replacement Tips (pack of 5): TG100/2. DJM Direct has been successfully running online since 2004 and during that time has built up a good relationship with both customers and Google. We understand most of our customers are working under pressure and need their orders as soon as possible and that's why we only use professional carriers. We have100% stock levels ensuring that our customers receive their orders in good condition and in the quickest time possible. DJM Direct is a family run business and offers a more personal service than national companies, going that one step further to meet all our customer expectations. Our prices are aimed to be very competitive on the internet market. We do however hold our own margin so we will continue to be trading for many years to come; providing an after service should you need it. DJM Direct have a 20,000 sqft warehouse. 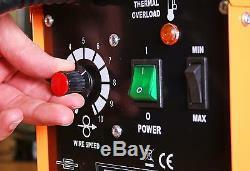 DJM Direct stock 100 percent of our listings. DJM Direct has account managers who load all products making sure prices compete with national companies and other large internet sellers. DJM Direct are always monitoring the service we provide, updating and changing if needed to ensure we maintain the highest level of customer service. Collection is available on request. Our opening hours are Monday - Friday 8am - 4pm. 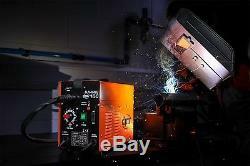 Although we despatch the goods on a 24 hour service it is not always guaranteed. All goods need to be signed for, so please supply us with an address where somebody will be in to sign for the goods. Our carriers will not leave the goods without a signature. Please do not sign for goods and then report to us that they are damaged, as you will have to return the goods at your own expense. If there is nobody in at the address to sign for the goods for a second time, you may have to collect them from a local depot or there may be a redelivery charge. However, should you require to return any product, we will allow you to do so within 14 days of the day after receipt. You will have to arrange the return of the goods yourself and track them using a reputable carrier at your own expense. We will arrange the uplift of the goods on a day convenient for you (Monday to Friday). Returning an item that we have supplied incorrectly: If we have supplied an item incorrectly we need to be notified within 14 days of receipt. We will arrange the uplift of the goods and have the correct item sent out at the same time on a day convenient for you (Monday to Friday). Although this will be arranged on the same day, it is not guaranteed the collection driver will be the same driver delivering the goods. A member of our staff are always happy to help, should you need any more information. 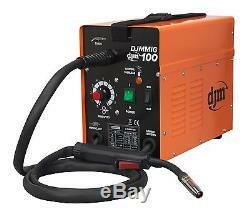 The item "DJM Professional No Gas Mig Welder 100 amp 230v Gasless Includes Wire Tip Mask" is in sale since Thursday, June 8, 2017. This item is in the category "Business, Office & Industrial\Metalworking/Milling/Welding\Welding & Soldering\Welding\Welders, Cutters & Torches\MIG Welders". The seller is "djm-direct" and is located in Nelson. This item can be shipped to United Kingdom.